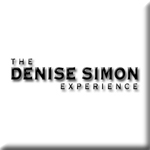 Denise Simon will host a panel of experts tonight (Thursday 2/12) to discuss the topic of the Muslim Brotherhood infiltration in the Obama Administration. The panel will address Obama and State Department advisors with direct ties to Muslim Brotherhood organizations and the effect they have had on American policy, foreign and domestic. The startling findings will show the Administration of Barack Hussein Obama in an entirely different light! To call the show, dial 917-675-3200.